These are the REAL THING! Made by Tung-Sol/USA in the early 1960's. Mostly 1964 batch, but still as new in original boxes as the current production re-issue ones. We have both commercial and military stocks. 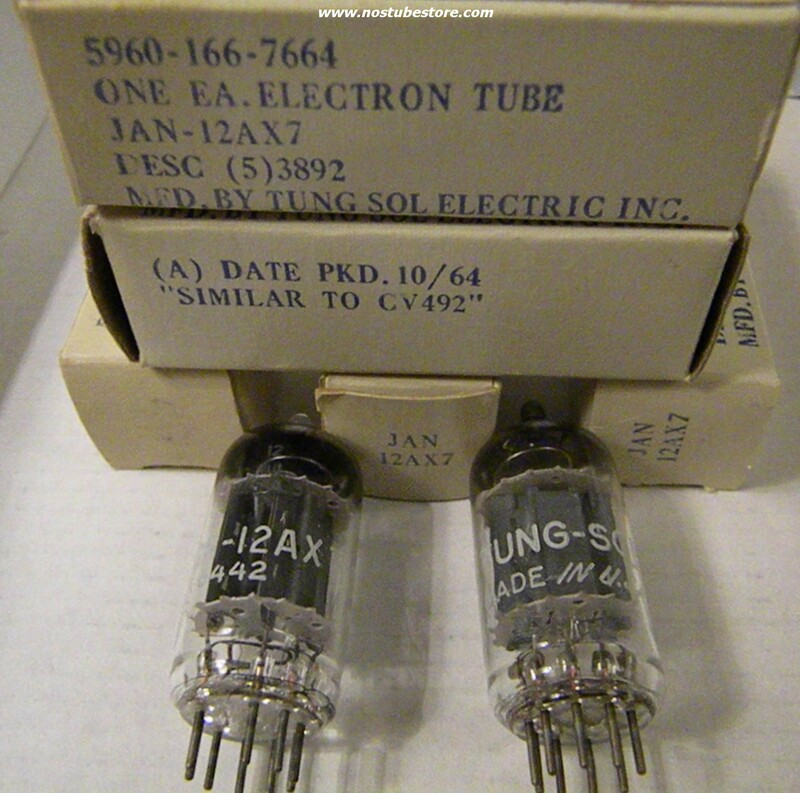 These have long/large ribbed plates and halo-getter on top in almost pristine condition. Matched pairs available. 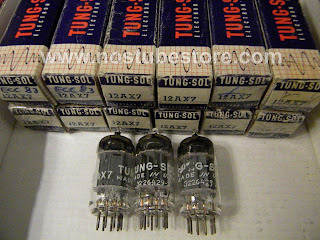 The old tung-sol are excelent tubes in the middle of the mid american range, inmediatete warm quality of the old vintage stuff. 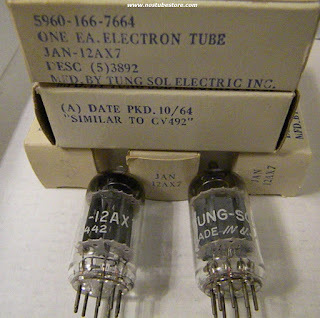 I have bought many tubes in NOSTUBESTORE and all of them are very strong. The best service-item-price relation in the tube-world scene.